Hello, my name is Susan Parke-Hatton and I consider it a privilege and honour to have been elected once again as President of SI Garstang for 2017-2018. I was first introduced to Soroptimist by a colleague who asked me to give a presentation to the club and twelve years later I am still here. I admired the work and the ethos of the organisation making a difference to women and children throughout the world. The club members are warm, welcoming and fun. I retired from the Fire Service some 10 years ago and I am now able to follow my interests which are varied from gardening to volunteer work. This year we have a programme of speakers that will be exciting and informative and non-members are always welcome. Our club works tirelessly to carry out the three Es of our Federation goals which is to ‘Educate’ ‘Empower’ and ‘Enable’. At the heart of our organisation is our ‘Programme Action’ with activities throughout the year that fully embrace these three key areas. Hi, my name is Judith Grocott and no this isn’t University Challenge! But it isn’t such a big jump from Universities to education to ‘Educate to Lead’, the Soroptimist overarching theme. I became a Soroptimist in Bolton in 1995 and joined SI Garstang when I took early retirement from Greater Manchester Police and we moved up the M6 to Forton. I have always believed in education, probably because my mum was very fond of saying when I was little “Educate a girl and you educate a family” and despite never having been involved in teaching, or anything similar since leaving school, I suppose having a son and watching him progress through his school life reawakened my interest. But most of all it’s the friendship that I so enjoy! Hi. I’m Joan Bailey and I’m the SI Garstang Treasurer, as well as the website manager. I joined the Soroptimists in May 2013 having been invited to attend firstly a small ‘Intro Chat’ and then a very convivial social evening for a member’s birthday. 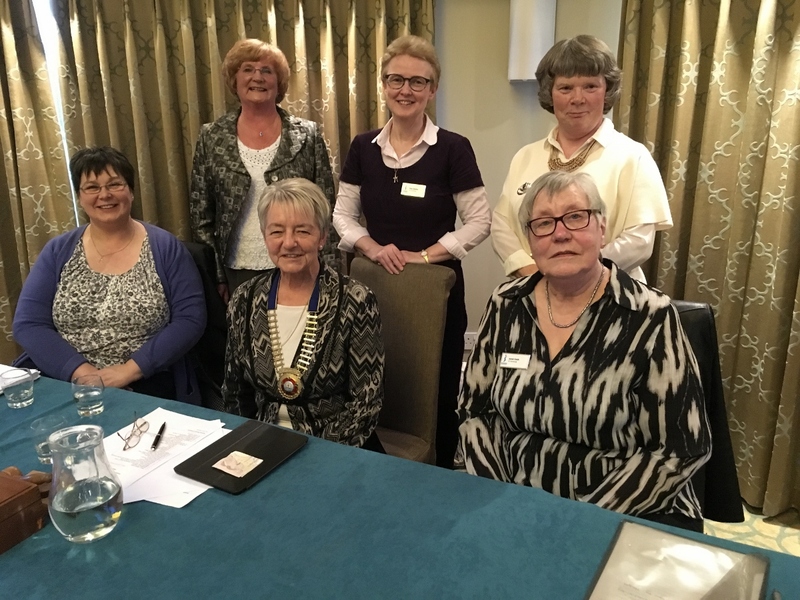 In addition to the very worthwhile aims and work of the SI community, from the start I’ve been very impressed with the caring and friendly approach of all my fellow soroptimists – not to mention their willingness to try anything. I was very quickly roped in to help with a re-launch of this website (and there’s another one in the pipeline too). In April 2014 we needed a new Treasurer as the rules dictated that the previous incumbent had come to the end of her term. I was therefore persuaded to volunteer, but I do have plenty of experience of cooking the books elsewhere! Being a newbie soroptimist means I have a lot to learn about the ways of SI but my predecessor Pat is providing sterling support to keep me on track. I am also trying to attend as many regional meetings and conferences etc as possible to learn more and simply be involved where I can. When not tinkering with the website or accounts, or knitting little hats for the Big Knit, I can be found running a small computer support business or doing the website and accounts at St Mary’s Church in Fleetwood. Or feeling very happy/despondent sat in the stands at Bloomfield Road. My name is Lesley and I worked as a Chartered QS in Civil Engineering until I met and married my farmer husband. I then gave up my nomadic life to work in partnership with him on our dairy farm – 14 years of milking cows and the inevitable paperwork. We changed enterprise 7 years ago and as a result, I went back into the work place, this time as an Information Advice and Guidance Officer in an Agricultural College. My loves are reading (thrillers) and music (everything from opera to heavy metal). I’m an amateur gardener – I know all the wrong places to put my plants but I do try, I think dogs are the best animals in the world – so long as they are Labradors and I’m passionate about education, the guaranteed way to better our world and hence my reason for being a Soroptimist. But most of all I love socialising and fun and this I get in abundance from SI Garstang!